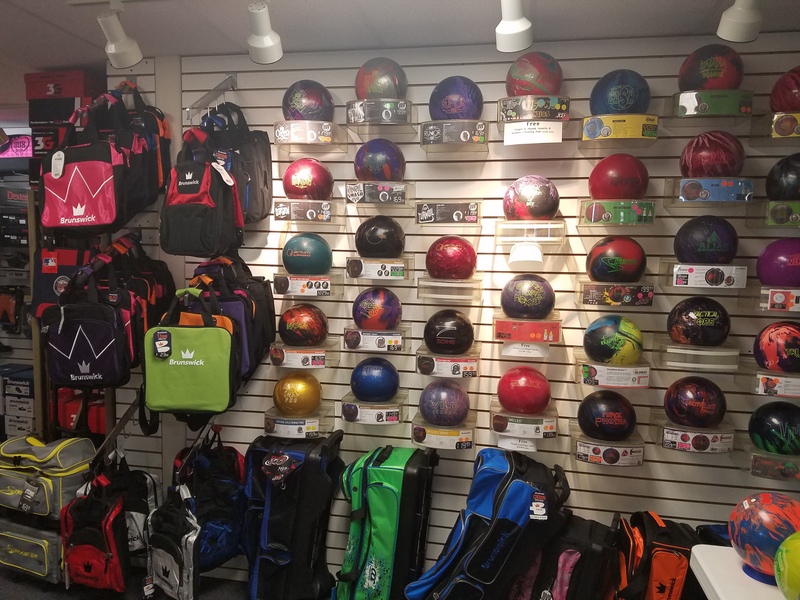 Huikko's Bowling & Entertainment Center and Pro Shop has a great selection of balls, bags, shoes, and bowling accessories. Come in and pick out something from our in stock selection or let us order one for you. Bowling balls range from 6 pounds to 16 pounds. Prices range from $74.99 for your basic beginner ball to $239.99 for your high-end competitive bowler. Bowling balls are stocked for all types, ages, and levels of bowlers. We feature in house ball drilling and resurfacing so all of your bowling balls can be drilled, resurfaced, or inserts changed while you wait or next day. Please call to make an appointment to have a ball fit and drilled for you. Bowling ball bags range from one ball bags to four ball bags in stock. We can order bags not in stock. Two, three, and four ball roller bags are in stock. Most roller bags that we stock have a five year warranty. Tired of renting bowling shoes? Stop in and try on one of our in stock pairs of bowling shoes. Prices range from $39.99 to $69.99 for your basic tennis shoes style bowling shoe and $69.99 to $229.99 for your performance level bowling shoes. If we don’t have your style or size in stock, we will be happy to order it for you. 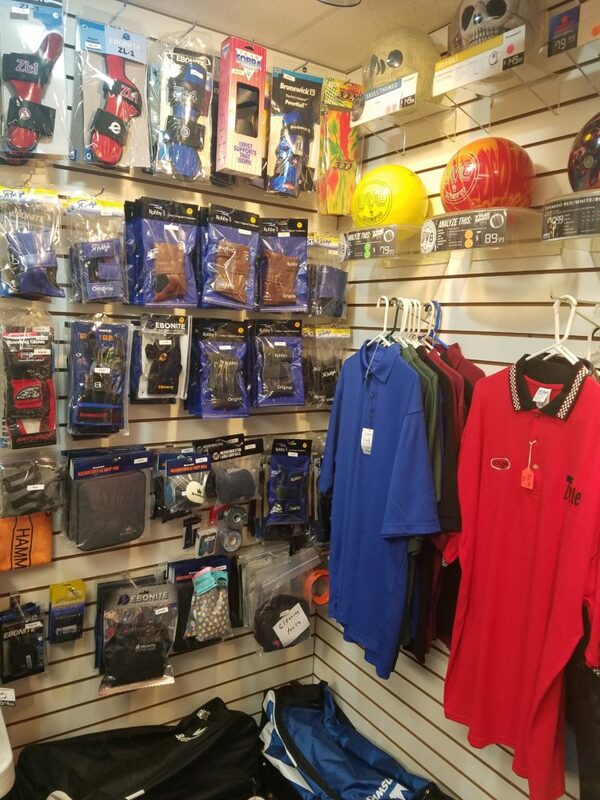 Bowling Accessories in stock include, wrist bands, bowling tape, bowling ball cleaner, towels, shoe slide, rosin bags, shoe covers, replacement shoe bottoms, and many other accessories. For accessories and shoes stop in any time!